If I am to criticize a show for what I feel it is doing wrong, I suppose it is only fair that I applaud when it corrects course. And so I am here to applaud last night’s episode of Terra Nova, which did something I’ve never seen a show do before: use amnesia to further characters. But first, because I’m a fan of when things go wrong, I’m going to look at a show that went horribly wrong with a similar plot device. There is oh so much that can be criticized about that episode. If I were writing a full review of it, I’d scarcely know where to start. But if I’m talking Terra Nova, I’m talking characters, so I’m going to stick to that. This was a new show, fresh of an ambitious pilot meant to relaunch a franchise to television. In doing so, it chose to pull a familiar plot line from the original series, The Naked Time, and I can’t fault it for doing so in order to create continuity. What I can fault it for was the decision to take the second episode of a new series, when viewers don’t yet know the characters, and choose to make them all act out of character. As the sort of contagious drunkenness moves through the crew one by one, they lose their inhibitions and become entirely different people than they will be for the rest of the series. This is not characterization. This is the exact opposite. It’s something that requires a well established baseline so we, the viewers, can sit down and say “aha, Picard wouldn’t act like that! He must be infected!” But we don’t know these things. The show wasted what was its first chance to establish characters for the crew, many of whom got only brief introductions in the pilot. Instead, we’re left with a confusing mish-mash and a disturbing mental image of android/human sexual relations. 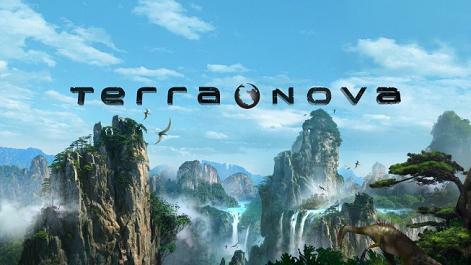 When I saw the trailers for last night’s Terra Nova episode, I worried the show was going in a similar direction. These ads promised a virus that was wiping out the memories of the settlers, one-by-one. While it’s not a highly contagious virus simulating drunkenness, amnesia is still a plot device that causes a character to act against type and against previous characterization. It is also, to be blunt, a weak plot device often better deployed in sitcoms as they run out of steam and are desperate for stories. Color me surprised, therefore, when the show found a unique twist on amnesia by having characters not forget who they are. Instead the virus only allows them to remember who they were, rolling their brains back roughly twenty years. This allowed the show a way to fill in the characters of Commander Taylor, Elisabeth, and Malcolm Wallace, introduced last week. Through the retrograde memory the viewers got a chance to see their pasts in a way that didn’t require flashing back to the rather expensive dystopian future shown in the pilot. Jim also got a chance to interact with Malcolm, and briefly the new girlfriend and boyfriend of his son and daughter. The character played against some of the archetypal problems highlighted previous, and actually became a character in the process. Specifically, it feels like he’s turning into Jack Carter from Eureka, but that’s a far better choice than the Jim Shannon from the first three hours of Terra Nova. Characters, then. They need to exist. And I mean that more than “you must have characters,” I mean that in the sense that characters need to feel like real people. Like you could meet them on the street. This is what Terra Nova finally felt like it was doing last night. If characters are going to act inconsistently for plot purposes, there needs to be an established baseline of what consistent is. That was the trap of The Naked Now, and that was the trap that What Remains came nowhere near. This is important in serialized television, it’s important in novels, it’s important in short stories. I’m hoping Terra Nova is on the right path now with actually characterizing their characters.